Blaise Pascal - Inventor of Count Machine. Blaise Pascal is a French mathematician, physicist, inventor, writer and philosopher of Christianity. He was born in Clermont-Ferrand, France on June 19, 1623 and died in Paris, France on August 19, 1662 at the age of 39 years. His main interests are philosophy and religion, while his other hobbies are mathematics and projective geometry. Together with Pierre de Fermat finds the theory of probability. At first Pascal's interest in research more in the field of science and applied sciences, where he has successfully created the first known counting machine. The machine can only count (a simple computing machine that is the forerunner of the calculator). 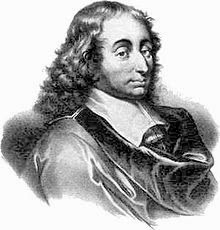 Blaise Pascal was born on June 19, 1623 in Clermont-Ferrand, France. since childhood Blaise is known as an intelligent child even though she does not officially study at school. At the age of 12, he was able to create a counting machine to help his father's work. His father's name is Étienne Pascal. His father was a tax collector who worked in the Auvergne region of France. Since the age of four Blaise has lost her mother. His works continue to grow from the design of hexagons, discovering the working principles of the barometer, the wristwatch system, to participating in the making of Paris underground transportation system. In 1642, as a teenager he started experimenting on a calculating machine. After three years of trying and producing fifty prototypes, he invented a mechanical calculator. Then in the next ten years he built these 20 machines (called Pascal's calculator and then Pascalines). Pascal wrote a significant treatise on the subject of projective geometry at age 16, and then associated with Pierre de Fermat on probability theory, profoundly influencing the development of modern economics and social science. After Galileo and Torricelli, in 1646 he disputed the followers of Aristotle who insisted that nature hates the void. Before being accepted, Pascal's research resulted in many disputes. Pascal has poor health, especially after the 18th year, his death occurred just two months after his 39th birthday. A mechanical calculator, or calculating machine, is a mechanical device used to perform arithmetic basis operations automatically. Most mechanical calculators are comparable in size to current desktop computers and have been deemed obsolete by the emergence of electronic calculators. The 17th century marked the beginning of the history of mechanical calculators, with the invention of the first machine, the Pascal calculator, in 1642. Blaise Pascal had invented a machine that could perform calculations which previously could only be done by humans, although Pascal had invented the calculating machine, not to succeed to make it an industry. In his findings, Blaise Pascal invented a mechanical calculator to help his father work as a tax inspector in Rouen. 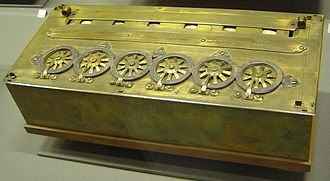 The calculator is called Pascal or Pascaline Calculator and is a mechanical calculator only working in the 17th century. After three years of trying to produce 50 prototypes he introduced the calculator to the public. He built twenty of these machines in the next ten years. This machine can add and subtract two numbers directly and multiply and divide by repetition. Pascal prioritizes the re-zeroing method for the engine. Thus he proved before his fully functional calculator operated. This is a testament to the quality of Pascaline. 0 Response to "Who Invented The Count Machine? History Of Count Machine - Biography of Blaise Pascal "